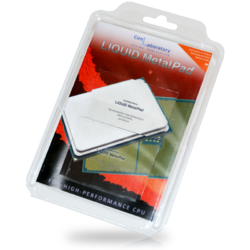 The Coollaboratory Liquid MetalPad for notebooks is esspecially developed for the usage in mobile prcessors as there are often bigger gaps to fil up between the contact surfaces. 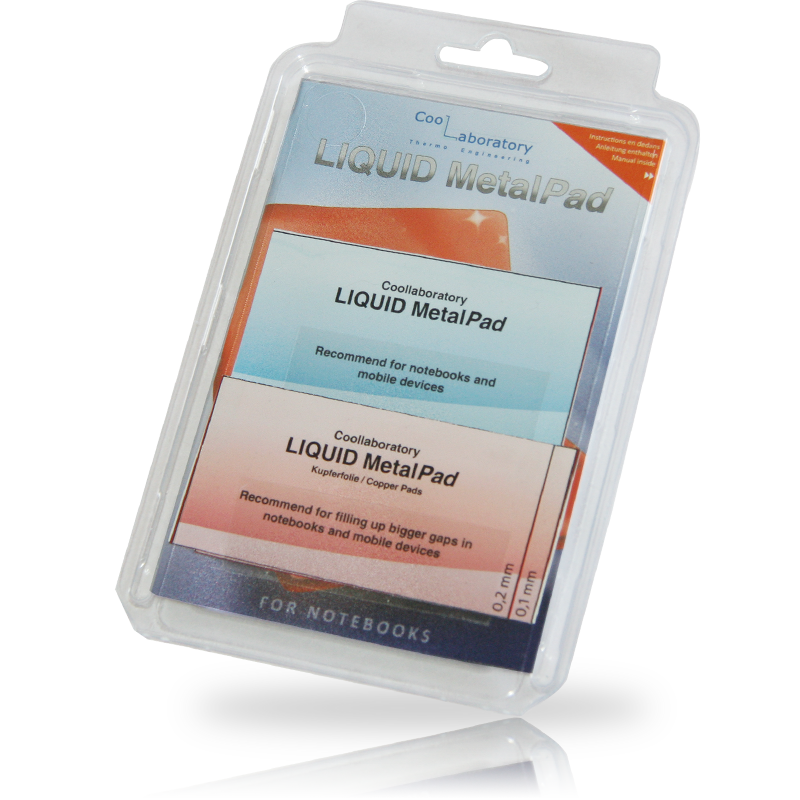 The set is delivered in a transparent blister-package, a detailed printed manual and contains one Liquid MetalPad (approx.76x38mm) and two copper foils (in 76×38 mm and 0,1mm and 0,2 mm thickness). 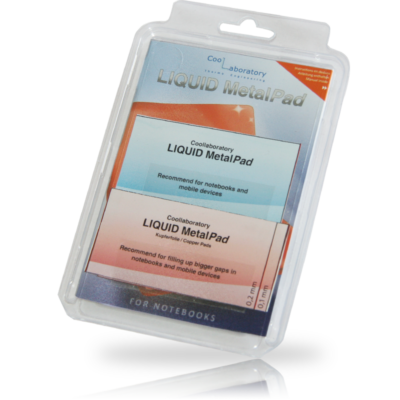 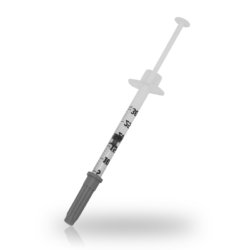 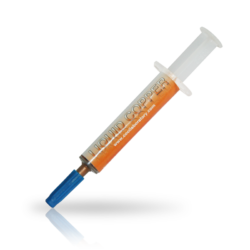 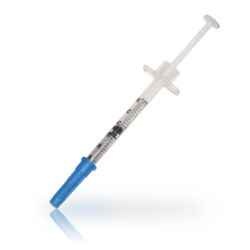 Additionally there is a cleaning set with a cleaning tissue for cleaning of the contact area before and using the Liquid MetalPad.